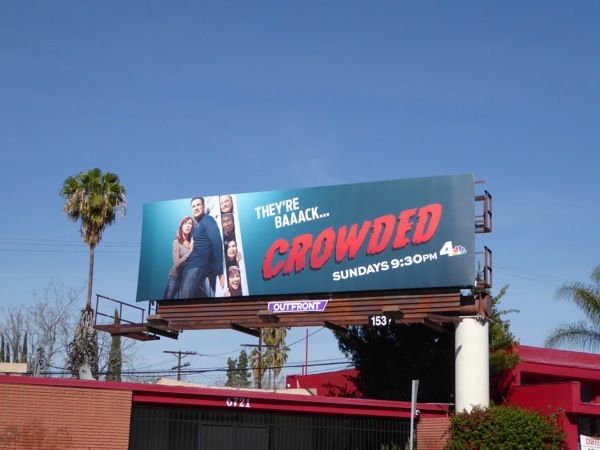 If there's one thing you can expect every TV season it's a whole host of family sitcoms, and this Spring season is no exception with the likes of The Real O'Neals on ABC and NBC's Crowded joining the ranks. 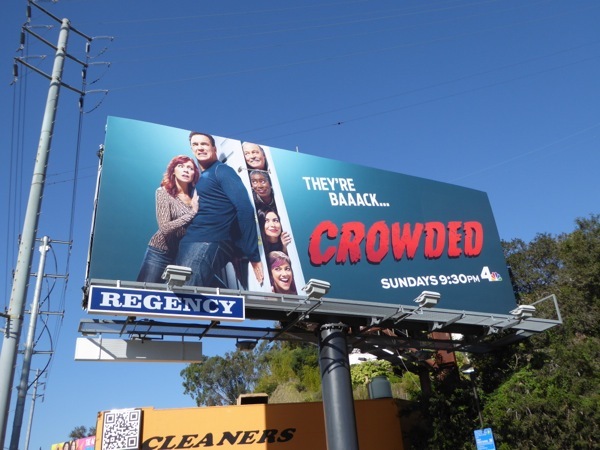 The Good Wife and True Blood's quirky Carrie Preston and Seinfeld and The Tick's Patrick Warburton headline as empty-nesters whose kids come home to roost after leaving home, plus his parents decide not to enjoy their golden years in Florida after all, making for a suddenly full (although not fuller) house. 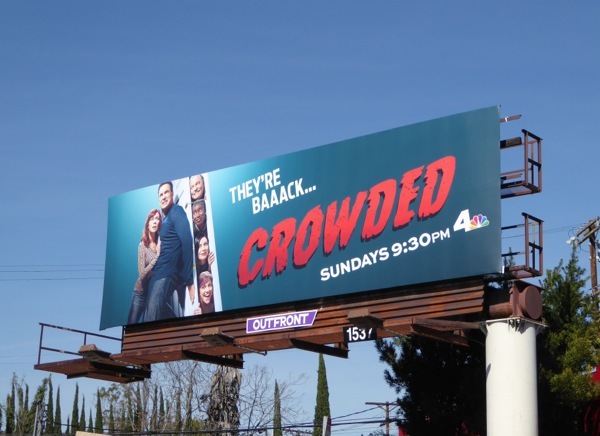 Daily Billboard likes the ad creative and title treatment for Crowded's debut, it's like some schlocky 1950s B-Movie, and these billboards were snapped along Melrose Avenue and West Hollywood's Sunset Strip on February 24, 2016. 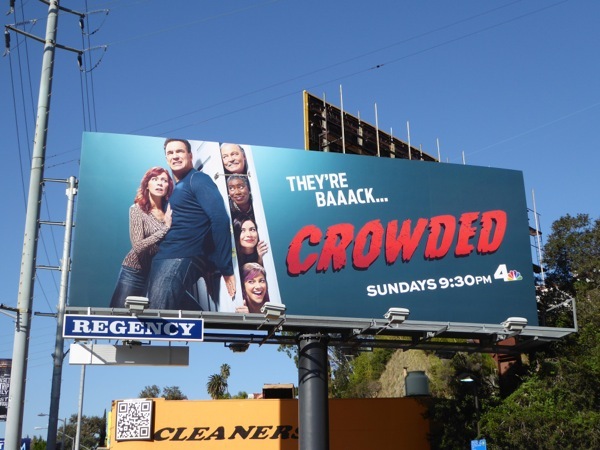 Their key art may be inspired by the past, but let's hope the comedy is not too cheesy or stuck in a time warp too.